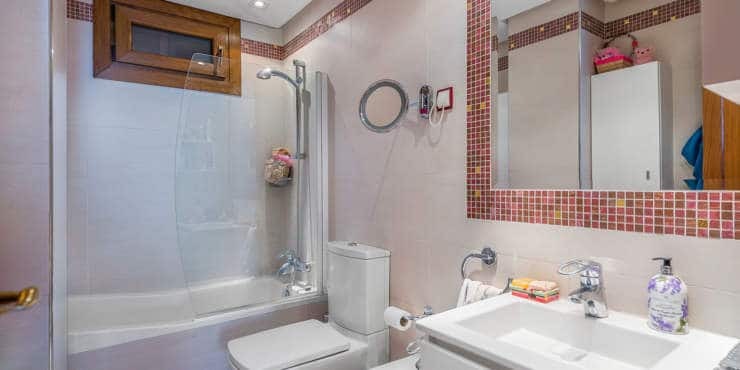 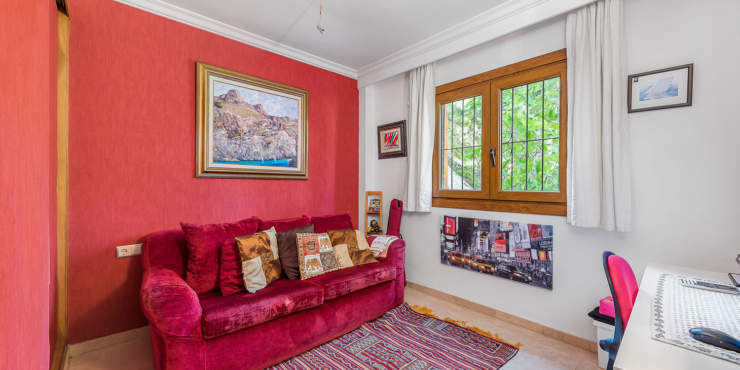 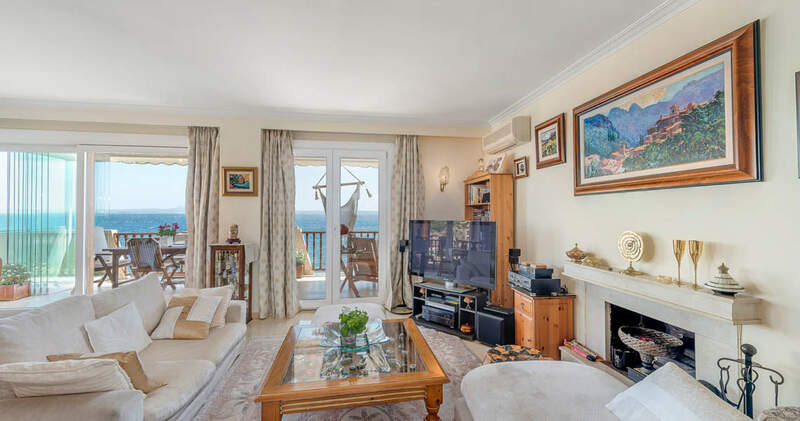 The exceptional location of this light-flooded apartment guarantees that it stands out from the rest. 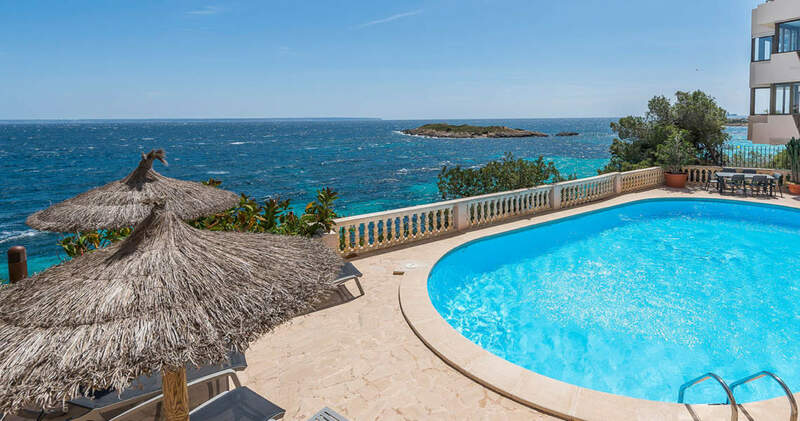 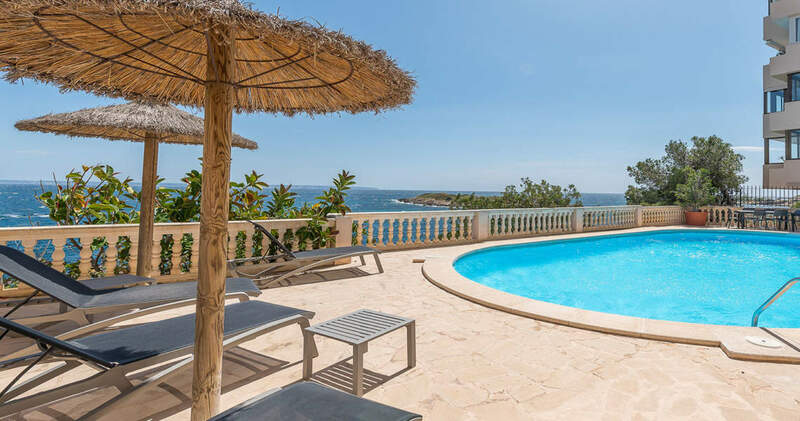 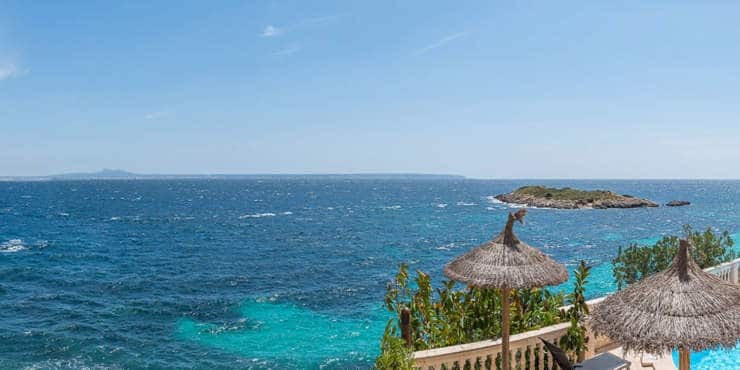 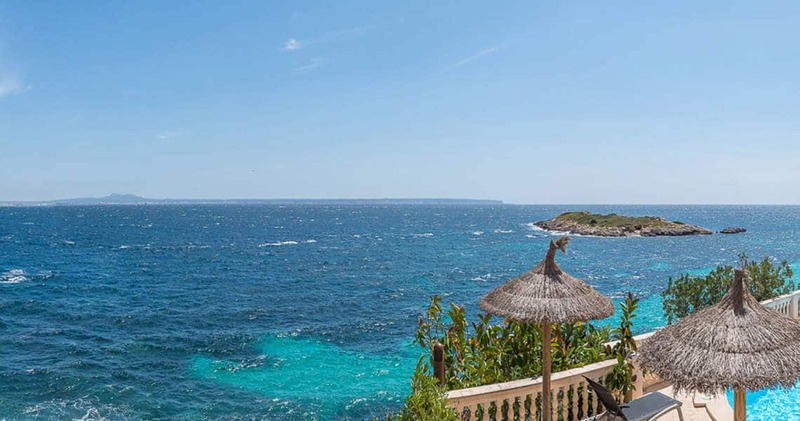 In close proximity to Palma the coastal resort of Illetas nestles in a small bathing bay with crystal waters, only one of many that the stunning natural coastline of the south-west is known for. 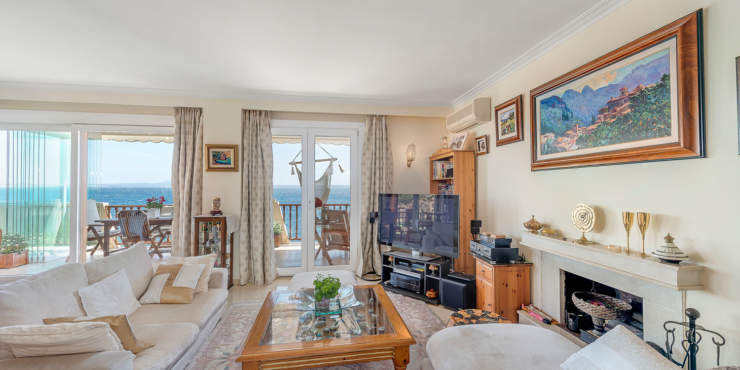 The apartment building has direct access to the sea and to a small sandy beach which sits alongside. 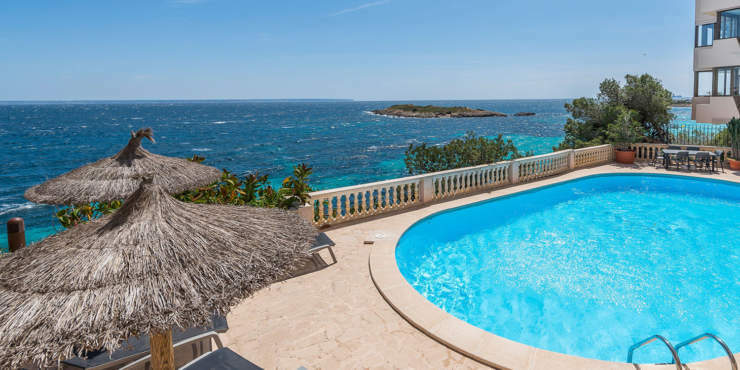 A private entrance leads to the exclusive Balneario Illetas beach and an exclusive beach club. 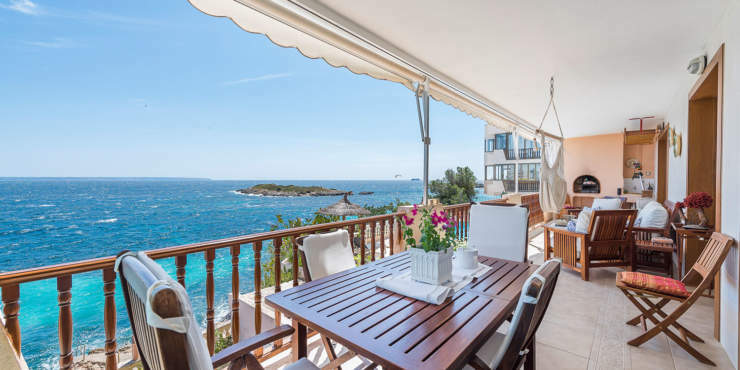 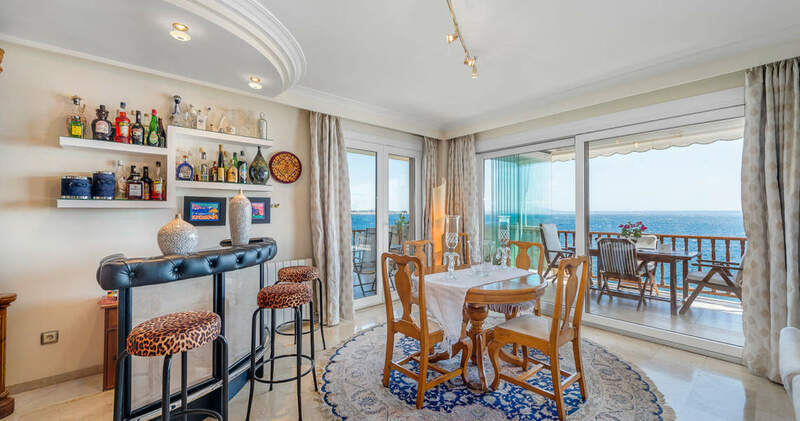 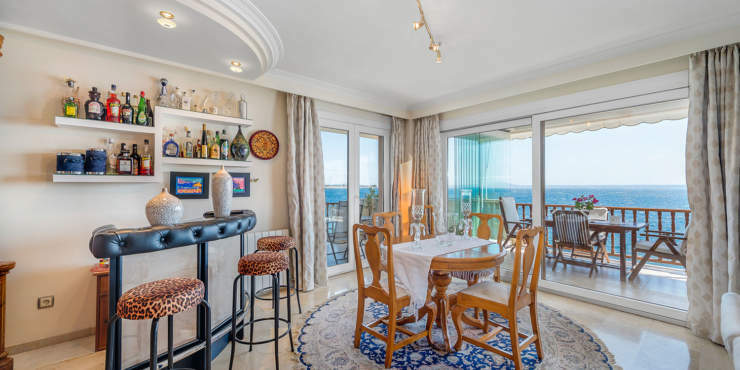 The bright and spacious living/dining room with fireplace and bar has access to two sea view terraces, one of which can be closed with glass panels and has a barbecue and fireplace area. 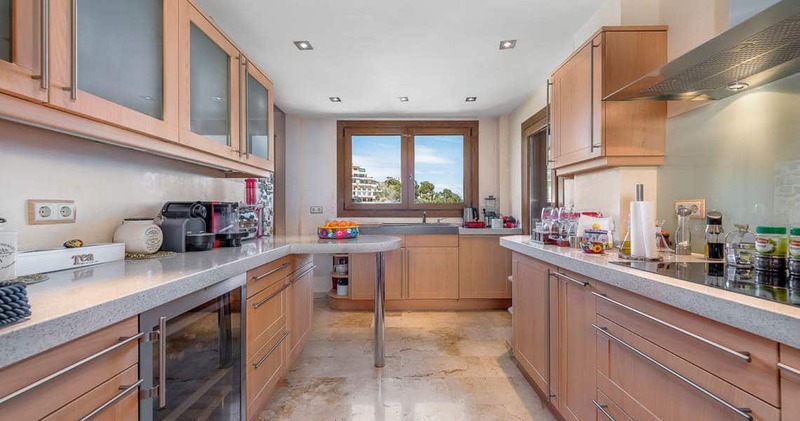 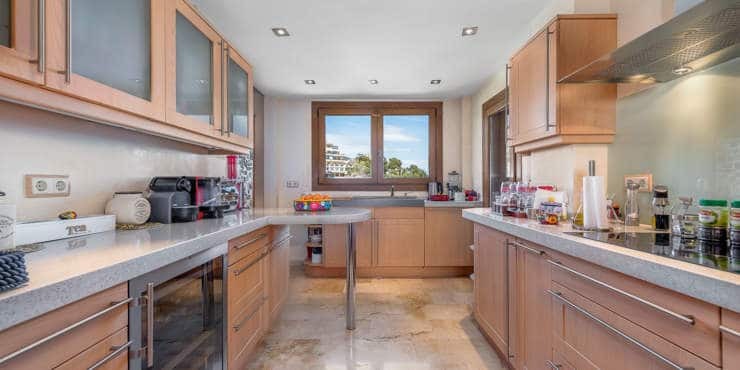 The modern kitchen leads onto a side terrace and is fully equipped. 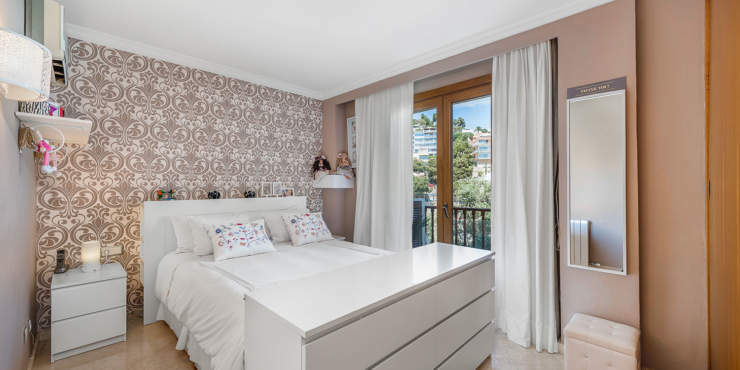 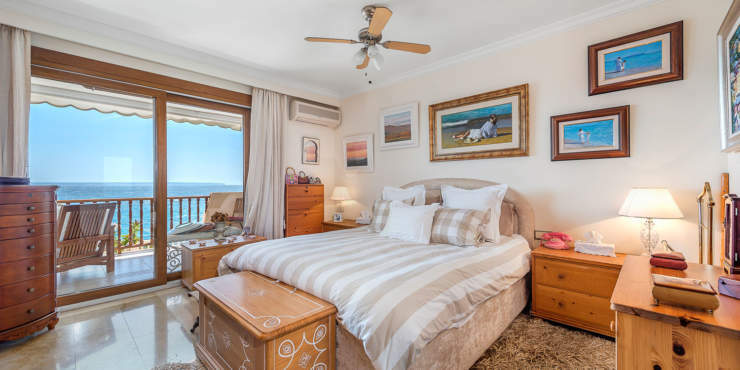 The en suite master bedroom has direct access to the main terrace with wonderful sea views. 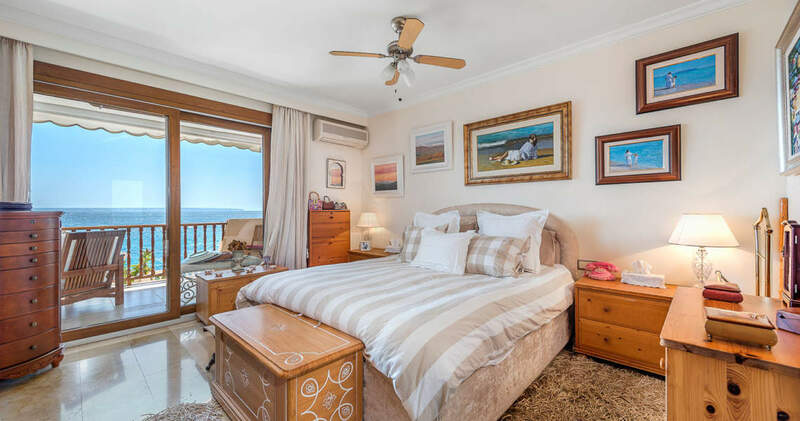 In addition, three are three bedrooms, one of which with en suite bathroom and one with a balcony overlooking the beach. 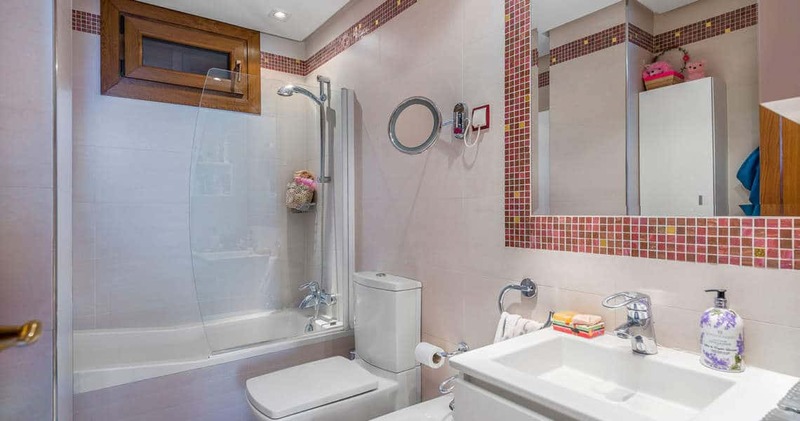 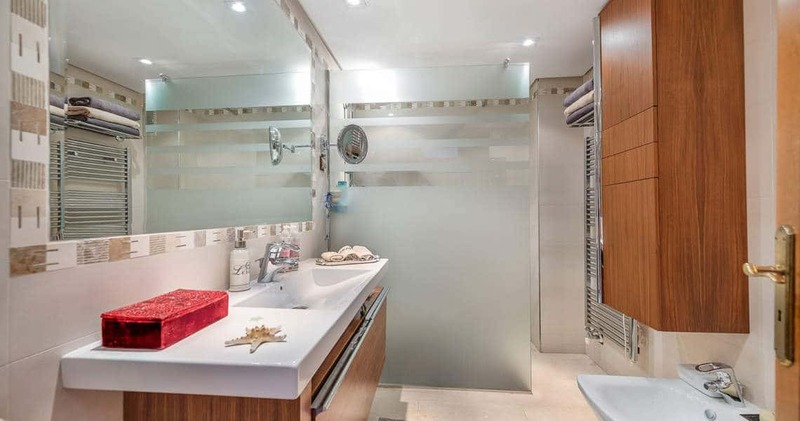 Another bathroom has a large Jacuzzi bath. 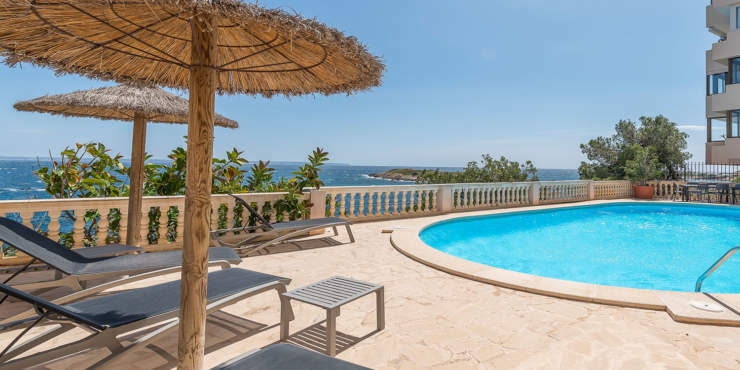 The complex features a garden with a beautiful pool area, direct sea access and a locked parking space for each property.